I've been waiting to share our living room until I had everything just the way I wanted it, but seeing as how we're going to start packing up to move in the next month, I figured it's not worth putting any more time or energy into styling this apartment. These are a few photos of our living room as it is now. I had planned on switching out the pillows, adding a neutral Moroccan pouf in place of the current footstool, and changing out the coffee table - but I've decided to wait until the move to purchase these. Once we make the move be on the lookout for posts of our new living room! Absolutely love it! Where is your TV console from? Thanks, Hannah! The console is from the "reflections" collection at Home Decorators. We used three of the middle cabinets pushed together. Thank you, Tasha. The console is from the "reflections" collection at Home Decorators. We love them! Beautiful living room! What color and fabric is the sofa? Thanks! Hi Michelle! We chose the linen blend in Fawn. Hope this helps! Hello, I absolutely love the console that you put together from Home Decorators Collection! what a great idea!! I just went on their website and they only sell that console as a 3 piece unit. Did you have to purchase all 3 pieces just to use the center console? If so, what did you do with the 2 smaller end pieces? Thank you so much!! Thank you so much! When I purchased the console a few years ago each piece was sold separately. Unfortunately now t looks like now they only sell it as a three piece set with the two smaller pieces on each side! 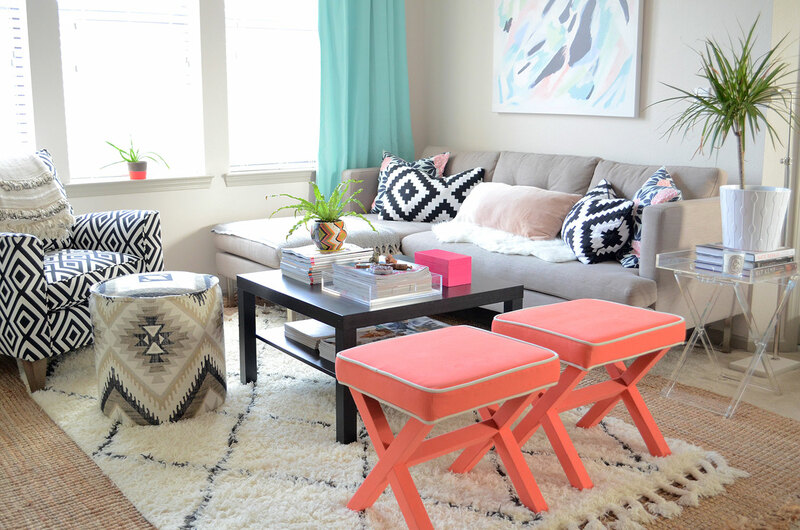 Quick question....what rug sizes did you use for your layering effect? 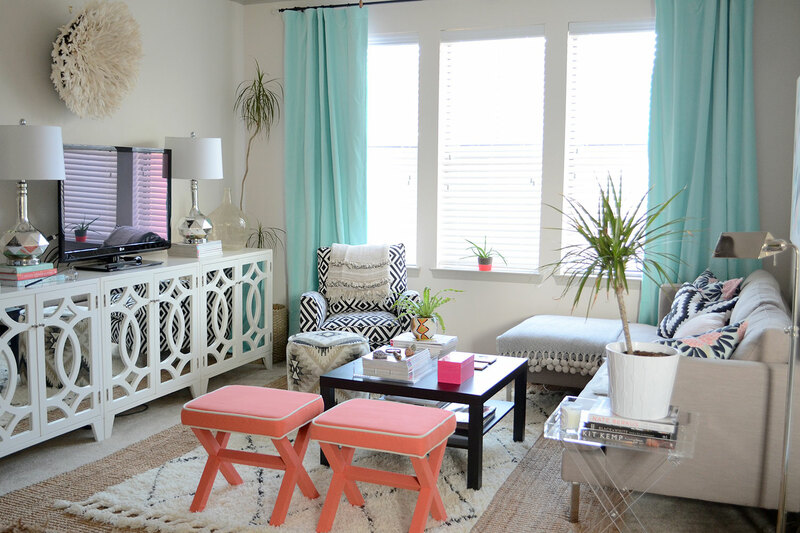 Trying to achieve this look in my living room but having a hard time figuring out what rug sizes I should use. Your room looks great!